The Features Tab provides a table of all the annotated genomic features (gene, CDS, mRNA, etc.) corresponding to the set of genomes in the selected Taxon View level or in the user-defined Genome Group. From this page, features can be sorted, filtered, collected into groups, and downloaded. 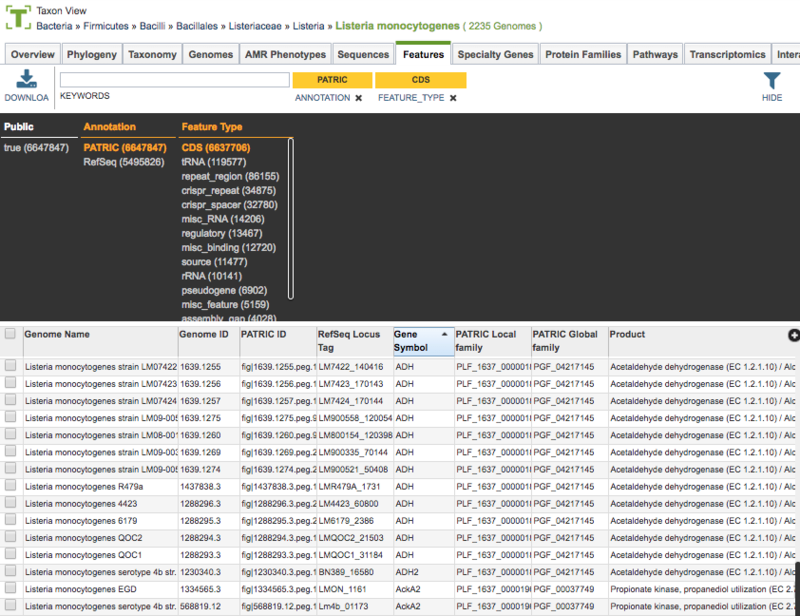 Clicking the Features Tab in a Taxon View displays the Features Table (shown below), listing all the annotated genomic features corresponding to the set of genomes in the selected taxon level. 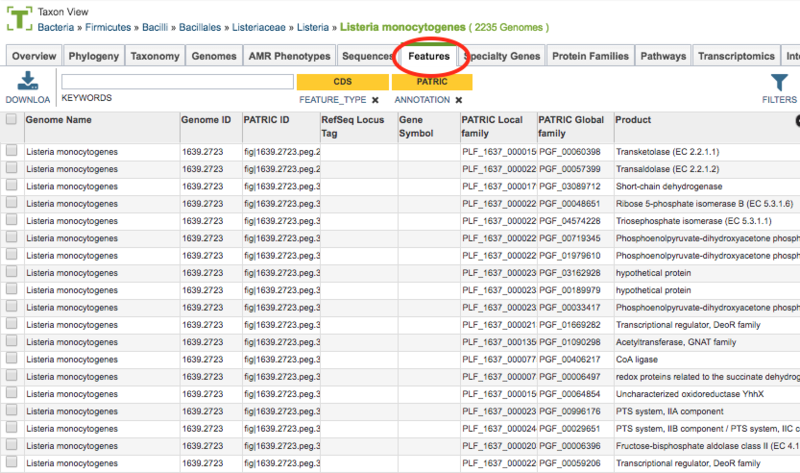 The genomic features include those called by the PATRIC (RASTtk) annotation service as well as the original annotations (typically from RefSeq), if availalble.